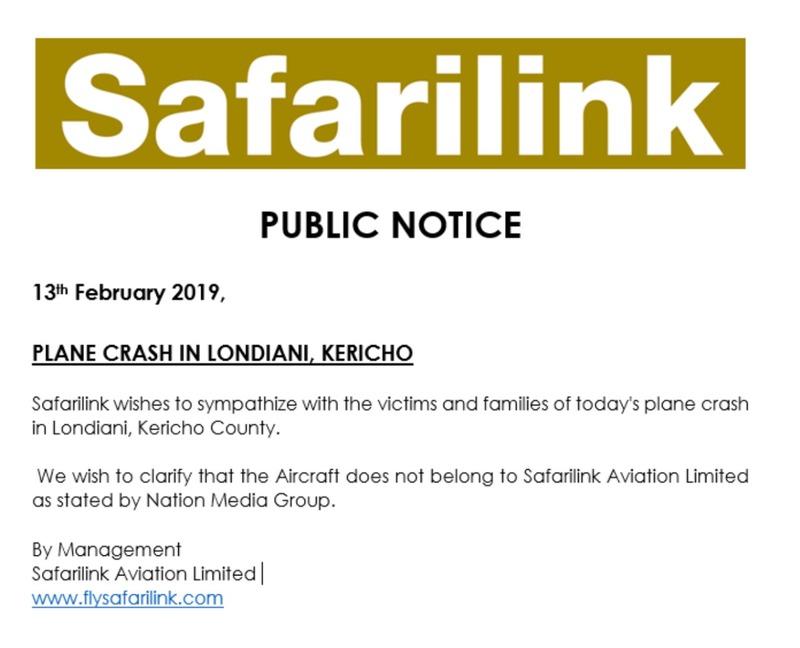 A light aircraft that crashed near Makutano Forest in Londiani, Kericho County, killing all the five passengers on board does not belong to the Safarilink Aviation Limited, as alleged by the Nation. In a statement seen by Kahawa Tungu, the aviation company denied owning the aircraft, Cesna 206-5-Y BSE. Safarilink did however sympathize with the families of the five people who lost their lives in the morning accident. They were three men and two women. Four of them were white. Reports indicate that the plane was transporting the deceased persons from Ol Kiombo in the Mara to Lodwar in Turkana County. Word reaching Kahawa Tungu indicates that the aircraft belongs to Governors Camp Collection. Investigators are looking into the cause of crash.